Twistwrap is used for packing individual bite-sized confectionery, with the packaging film being “twisted” to seal the pack at both ends around the sweet or chocolate. A key characteristic of twistwrap therefore is “deadfold” so that the film doesn’t spring open again after packing. 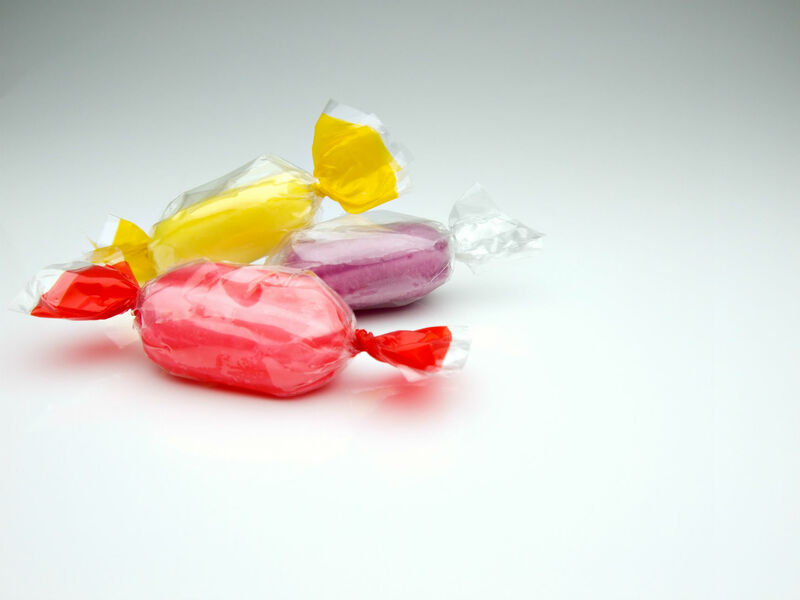 The use of flexible packaging film, rather than foil, was first introduced into the UK in the 1950s by Cadbury and Nestle who used a clear cellulose outer wrap over an inner foil strip. While cellulose is still used for twistwrap applications, its high cost and low yield factor has prompted the development of synthetic thermoplastic polymers as more cost effective alternatives. Our ProTwist film is a derivative of polyester and so offers the advantages of polyester, such as toughness and superior optical properties, alongside the all-important deadfold characteristic. Call our knowledgeable sales team for advice on whether ProTwist is right for your product on 01453 511126.